Being the boss might sound very fascinating to most of the people and they might even think that it is a cakewalk. However, that is not true — it takes a lot of dedication and hustle to take a company to a higher level as a founder or even a co-founder. In order to give us a clear view of techies from walks of life, we try to step into their shoes. 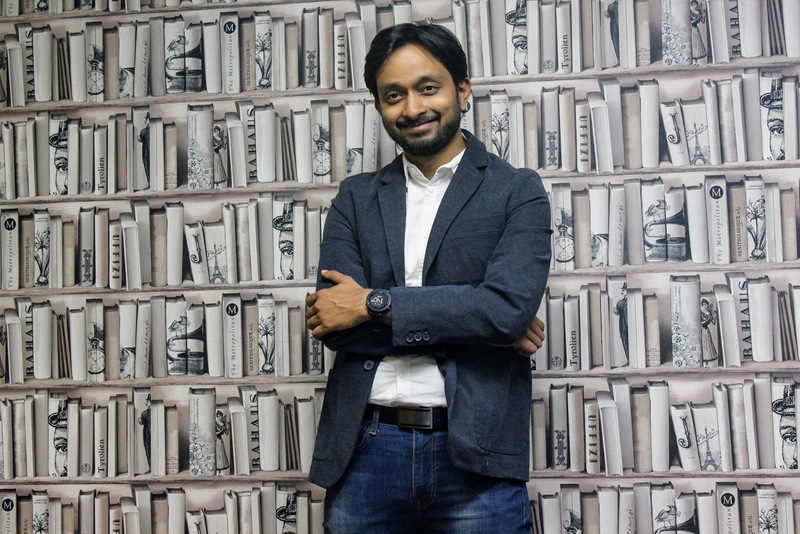 For this week’s ‘A Day In The Life Of’ column Analytics Indian Magazine caught up with Swetabh Pathak, co-founder of Elucidata, a company that builds software packages, provides customised solutions, and analyses omics datasets to understand the molecular basis of cellular phenotypes. Pathak kickstarts his day early in the morning and because he says that it has become a requirement for him. Talking about his working hours, Pathak says that his work usually starts at 9 in the morning and ends by 7:30 in the evening, however, he also said that he sometimes has to attend late night calls with the US and the rest of the world, which makes him stay for little late. When you are a part of a startup that is working relentlessly to achieve its goals, it gets a little hard for everyone to spend time socializing and on hobbies. But Pathak, on the other hand, is managing work-life swiftly. “I like to run half-marathons. When I am being disciplined, I work out five to six times a week. I also get time to pursue my hobbies on the weekend. And on weekdays I cook dinner whenever I can make time,” said Pathak. The Elucidata co-founder has also said that he has a happening social life. Even though he plays a vital role at the company with a significant amount of work, he manages to flick out time to see his friends and manages to go out very often. “It is definitely challenging, but when you are disciplined with your work and life, it helps,” Pathak added. While Pathak walked us through his day, we ask him about his best and boring part of his workday. He said, “the best part of the day is always when I see junior team members grow and succeed — its sheer happiness.” About the boring part, Pathak doesn’t like signing documents, parroting the same pitch numerous times a the day. In addition to that, he also said his best talents are growing teams, setting a vision, and executing, and the company has given him enough opportunity to utilize his talent effectively. When asked about his future plans, Pathak said he wants to take Elucidata to an IPO and also, he wants to make Polly (Elucidata’s cloud platform) the best product in the industry.